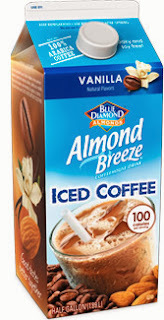 Almond Breeze is one of my top most favorite drinks. It's healthy and delicious and bonus it's a safe and a great choice for those with allergies to dairy, soy and gluten! So I'm very excited for this new release from the brand! 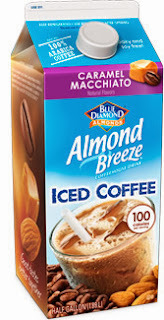 Enjoy new Almond Breeze Iced Coffees! 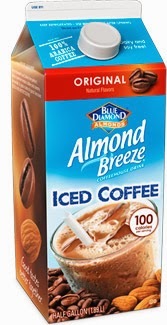 Almond Breeze Iced Coffees are a delicious dairy & Soy free way to indulge in iced coffee and feel good about it! Made with the perfect blend of premium Arabica coffee and creamy almondmilk and only 100 calories per serving. There are four flavors Original, Vanilla, Mocha and Caramel Macchiato. Be sure to check out these new products at your local grocery store.